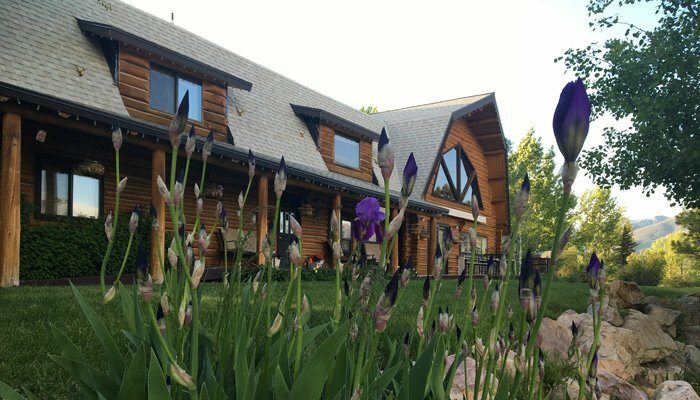 Since 1991 the Snowberry Inn Bed & Breakfast has been providing warm hospitality in the Wasatch Mountains. The spacious 8-bedroom log cabin lodge is located in Eden in the beautiful Ogden Valley. We are only minutes to incredible skiing at the renowned Olympic venue Snowbasin, the undiscovered rustic jewel Powder Mountain, and a local favorite Nordic Valley. Our guests come to us from all over the country, even the world, and return often. They come for the best snow on earth, homey ambiance, cozy rooms, and gourmet breakfasts. Your hostess, Andrea, is personable and hands-on in overseeing every aspect of the inn. She brings to her guest culinary training with a talent for baking. Her love for the mountains and passion for skiing began as a ski racer for Snowbasin. Andrea draws on this diverse background to help enhance her guests' experience during their stay. Come stay with us at the Snowberry Inn Bed & Breakfast!! 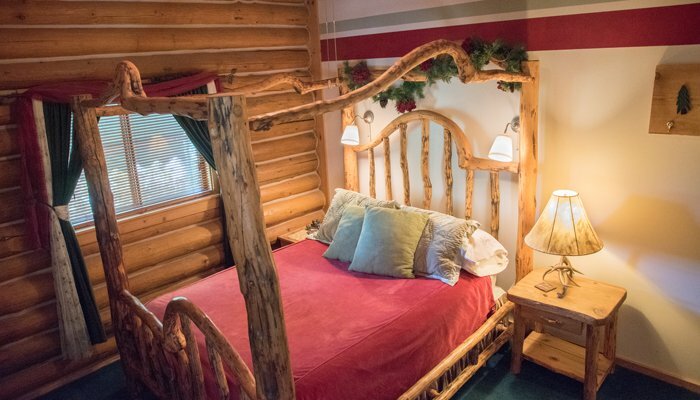 The Snowberry Inn Bed & Breakfast is your peaceful cabin in the mountains. where you can make yourself at home and guests become family. Enjoy our warm gathering spaces on each floor with comfortable couches and incredible mountain views through panoramic windows. Come down to our beautiful dining room & enjoy a gourmet breakfast specially made for you! 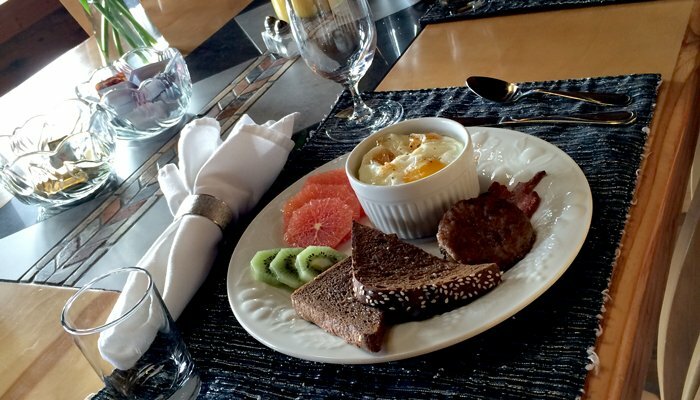 Each traditional breakfast offers a unique & unexpected twist that is guaranteed to satisfy your taste buds. Grab a mug of freshly ground coffee & partake in homemade bread or succulent honey and jams. All provided through local proprietors. Within each of our eight rooms lies a reflection of local history, woven through rustic decor to provide a singular and distinguished experience for every guest. Beyond each room is a full, private bath stocked with luxurious, homemade soaps and fresh towels. Here at the Snowberry Inn, you will find peace in a restful sleep.